ArtCenter/South Florida, in partnership with Frost Science, has launched ARTSail, a residency program that explores the ecological importance of water by placing artists within aquatic environments. The program is made possible by a $40,000 grant from the John S. and James L. Knight Foundation as part of its 2015 Knight Arts Challenge, which funds ideas that bring South Florida together through the arts. 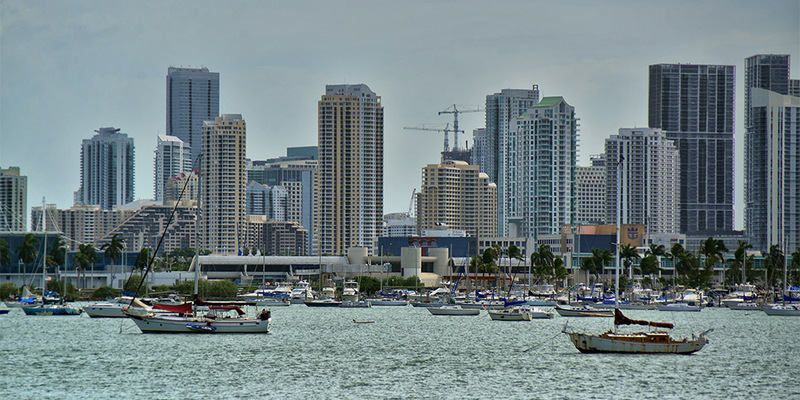 Miami-Dade County abuts the Atlantic Ocean, Biscayne Bay, the Miami River, and the fringe of the Everglades. Water has played a pivotal role in shaping the city’s identity and is an increasingly central theme in ecological discussions. ARTSail calls upon artists to create work inspired by Miami’s defining relationship to water and to respond to challenges in our ecosystem. Resident artists will work with scientists to offer creative solutions to develop awareness in the community about environmental concerns and engage the public in the discovery, preservation and protection of South Florida’s waterways.